Been to Copenhagen multiple times and think you’ve seen it all? Think again! 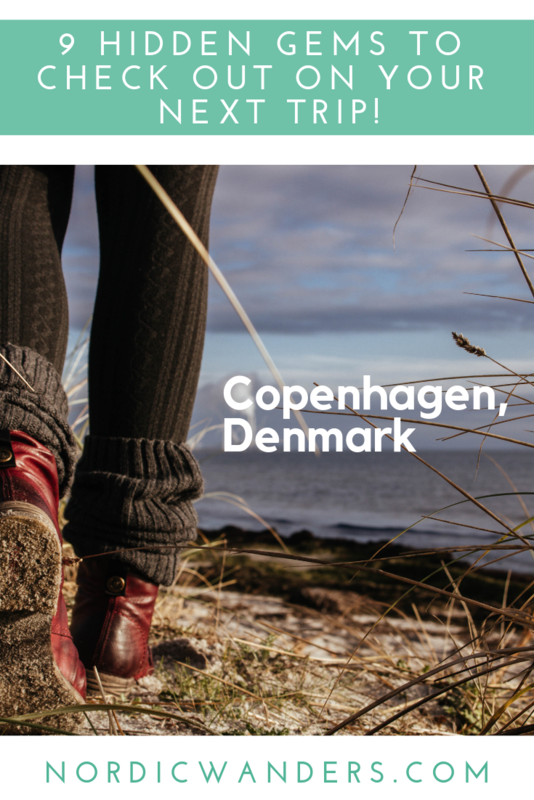 Copenhagen is my favourite city in Scandinavia and the Nordics, and even though I’ve now been 4 times, I still seem to encounter new and exciting places and things to do on every visit. In this article, I’ll share some of my favourite spots and activities with you! This is by far my favourite spot in all of Copenhagen. I’ve had the pleasure to conduct research for my MA thesis at the Greenlandic House before heading over to Greenland myself (the trip of a lifetime, but that’s another story!). Now, why should you visit a Greenlandic House when you’re visiting Denmark? Well, Greenland, despite its location on the North American continent, is still part of Denmark. You won’t really learn much about the country in other museums throughout Copenhagen, though (even the National Museum of Denmark portrays Greenland in a rather old-fashioned way), so the Greenlandic House functions as a place where Greenlandic artists can exhibit their art and portray their culture on their own terms. To keep it short, the Greenlandic House is just one of those places you wouldn’t necessarily expect anywhere. It provides you with the opportunity to figuratively travel to Greenland and learn more about one of the most beautiful corners of the earth! Similiarly to the Greenlandic House, the North Atlantic House isn’t exactly on most people’s must-see list when they’re visiting Copenhagen for the first (or even second) time. If you’re as fascinated by the Nordic countries as I am, though, you’re going to absolutely enjoy visiting this space! Established as a mutual cultural centre for the North Atlantic countries, you’ll find art and cultural exhibitions here that focus on Iceland, the Faroe Islands and Greenland. When I last visited, they had, for example, an exhibit about climate change and how this affects the region already today. Okay, I only even know of this lake because I stayed at an Airbnb close to it one summer. If you’re also staying somewhere west of the city centre, or if you just want to escape the hustle and bustle of it all for a while, Damhussøen is a lovely little lake with an adjoining park that’s perfect for your summer getaway to Copenhagen. You can either go for a walk or run around the lake (it’s only 3.5km), or you can bring a book and find a sunny spot on the grass or a bench! Ishøj Beach is another lovely place for those of you that can’t get enough of nature even if on a city trip! Only a half hour journey from the city centre, Ishøj not only offers the fabulous Arken Museum of Modern Art and one of the “forgotten giant” statues, but also a sandy beach with a view for miles on end! While Amager Beach is crowded on a sunny afternoon, you might find Ishøj a little less stressful but still absolutely gorgeous! If you’re visiting Copenhagen for the second time, you’ve probably already been on a typical boat sightseeing cruise once. Did you know, however, that you can also go on a sightseeing cruise with the city’s harbour taxis? Designed as a passenger ferry to transport people back and forth on the canal of the Baltic Sea that separates the town, the harbour taxi actually also functions as a more affordable sightseeing cruise, stopping at the famous sights like the Little Mermaid, but also at lesser known spots, such as Islands Brygge (where you can find a harbour bath in the summer), as well as Holmen Nord from where it’s just a short walk to the Michelin restaurants Noma and Restaurant 56°. One of the lesser known viewpoints of Copenhagen is Mærsktårnet. This tower is part of the bio-medicine faculty of the University of Copenhagen, but free for anyone to visit. Up on the 15th floor (of course, there’s an elevator! ), you’ll find a panoramic view of the city from above, as well as comfy chairs to sit on while taking it all in - in short, it’s a much more pleasant experience than having to climb the bell tower of a church and having to endure a chilly wind (and possibly rain) while trying to admire the view! The Photographic Centre of Copenhagen is another place I was fortunate enough to have visited for research purposes. Situated in the former meat-packing district of Copenhagen, this unusual art hall functions as a space for photography exhibitions of various Danish photographers. In the upcoming summer (2019) the centre will, for instance, feature 5 Nordic photographers who all focus on the issues of migration and global change in their work. If you’re at all interested in arts and photography, the Photographic Centre should definitely be on your list as it, in my opinion, really is such an undervalued space that deserves a lot more attention! If you’re a fan of Scandinavian interior design, you’re going to love a visit to Hay House! Located with a wonderful view on Amagertorv right in the city centre, the store has become known as a prime Instagram spot in Copenhagen, but actually has so much more to offer! From dreamy sofa cushions to smart kitchen utensils, Hay House will most certainly fulfil all those interior goals you’ve ever gotten from Pinterest! Last but not least, the Royal Library (also known as the Black Diamond) is another wonderful spot right in the heart of Copenhagen that’s not crowded with tourists - yet. 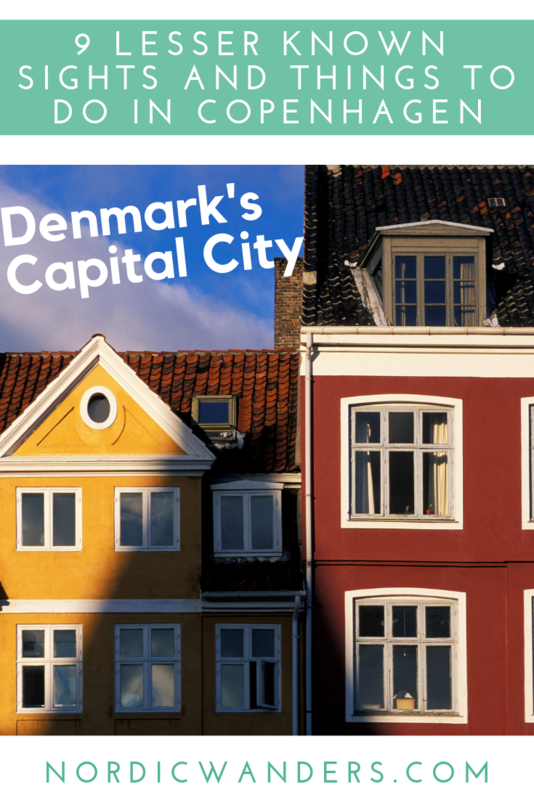 It offers a panoramic view from its upper floor (another top Instagram location in Copenhagen! ), interesting cultural and art exhibitions in the basement, as well as a super cosy cafe with a view on the canal on the first floor. Locals love it - and so will you! What are your favourite lesser known sights in Copenhagen? Anything to add to the list? Newer PostGoing to the dentist in Norway ain't cheap - All you need to know! Older PostHow to live in Norway on a budget - My best money-saving tips!